Ekveera Navratri and Mahanavami Puja are dedicated to Goddess Ekvira Devi. An incarnation of Goddess Shakti, Ekvira Devi is worshipped mainly in Maharashtra. Ekvira Devi Maha Navami Puja 2019 date is on October 6. Important festivals and rituals dedicated to Goddess Ekvira Devi are performed during Navratri. The most important puja is held on Mahanavami day. During Navratri various incarnations of Goddess Shakti are worshipped. In fact most of the female deities worshipped in rural India are incarnations of Goddess Shakti. Special pujas and rituals are held on the day. Ekveera Devi Shrines attract thousands of devotees on the day. 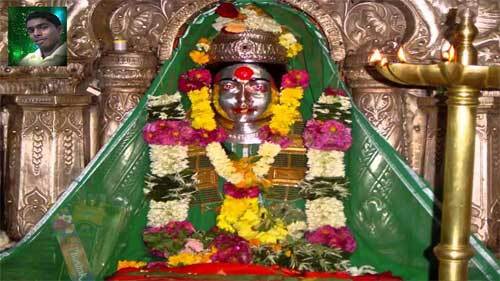 One of the most famous Ekvira Devi Temples is located at Amravati in Maharashtra. This temple is near to the famous Amravati Amba Temple. Legend has it that Lord Krishna and Rukmini had eloped from this temple and got married. Other famous Ekvira Devi Temples are near Karla Caves in Lonavala and Dhule.